The GOtv Cecafa Senior Challenge Cup kicks off on Wednesday with 12 sides participating in the newly-named tournament for national teams from east and central Africa. The coaches have summoned their best players, including foreign-based ones, to take full advantage of probably their only realistic opportunity available of winning silverware. There is also prize money at stake, where US$100,000 will be shared by the top three finishers, following a last-minute sponsorship deal totalling US$125,000 that was signed with Kenyan pay tv, GOtv. 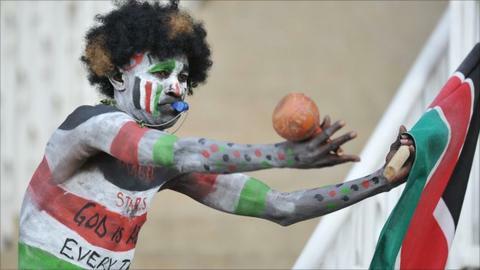 Wednesday's opening game pits Zanzibar against South Sudan. Matches will be played in Nairobi, Mombasa, Kisumu and Machakos, with local governments in those cities offering their sponsorship and influencing the choice of venue - echoing this year's club championship which was hosted in the Sudanese cities of Darfur and South Kordofan. A lack of reliable sponsors have seen the Cecafa-organised tournaments changing names from time to time to honour the sponsors. The club championship has been named after President Paul Kagame of Rwanda, while the Senior Challenge Cup was named after Ethiopian millionaire Sheikh Mohammed al Amoud between 2005 and 2006. This year's tournament, which runs until 5 December, features 11 regional teams and Zambia as a guest team. Group A contains Kenya, Ethiopia, South Sudan and Zanzibar, Group B has Tanzania, Zambia, Burundi and Somalia, while Group C has the defending champions Uganda, Rwanda, Sudan and Eritrea. The Cecafa event has remained the only source of proud moments for some fans, whose thirst to see their teams play at continental and world stages cannot be quenched because of poor standards in the region. Only four countries have reached Africa Cup of Nations tournament in the last 10 years, with just one of those managing to go past the group stages. Rwanda and Kenya reached Tunisia 2004, Sudan played in the finals in Ghana 2008 as well as in Equatorial Guinea/Gabon 2012 and Ethiopia reached South Africa 2013. Cecafa is the oldest regional tournament in Africa, having been started in 1926 then known as the Gossage Cup for British Protectorates of Kenya, Uganda Tanganyika and Zanzibar. In 1967 it was renamed Senior Challenge Cup and has been organised regularly since but it has failed to inspire competitiveness, triggering a debate on whether it should be made a development tournament for youth teams.